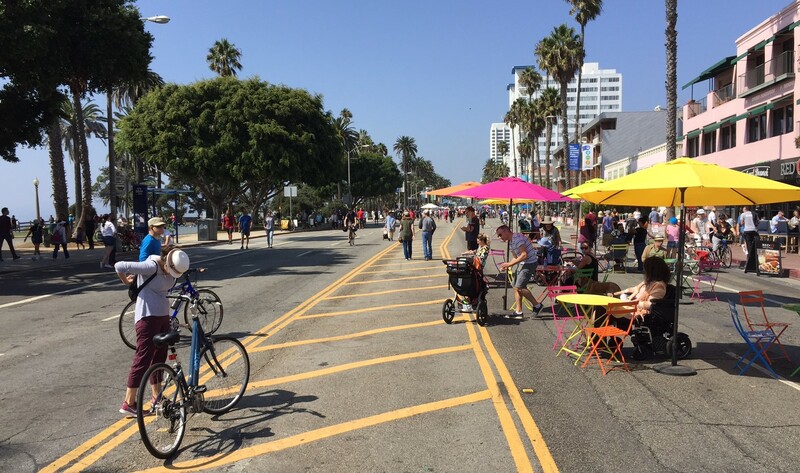 Santa Monica's Coast open streets festival took place yesterday. All photos by Joe Linton/Streetsblog L.A. 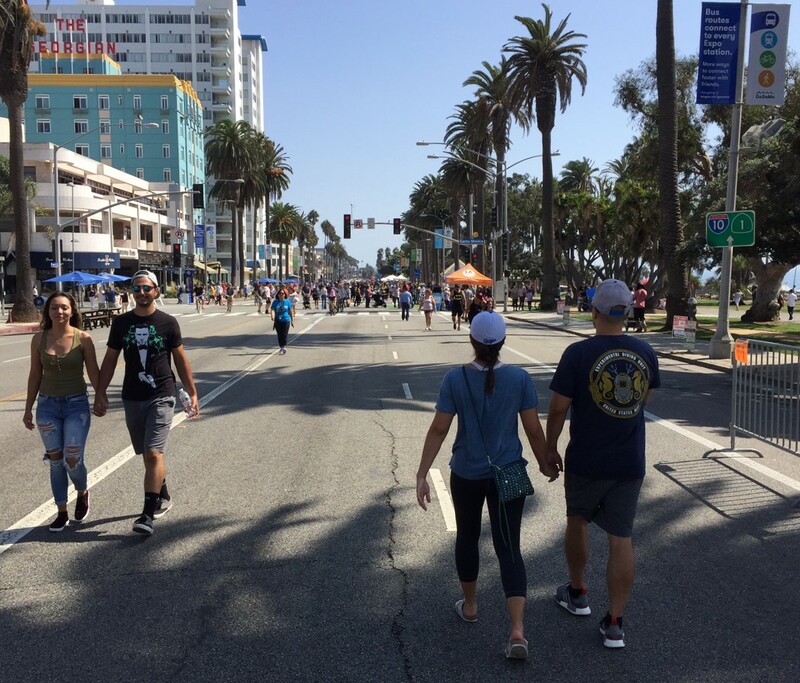 The city of Santa Monica hosted its second iteration of “Coast” – the city’s open streets event. The free event featured music, booths, poetry, exercise stations, and much more. 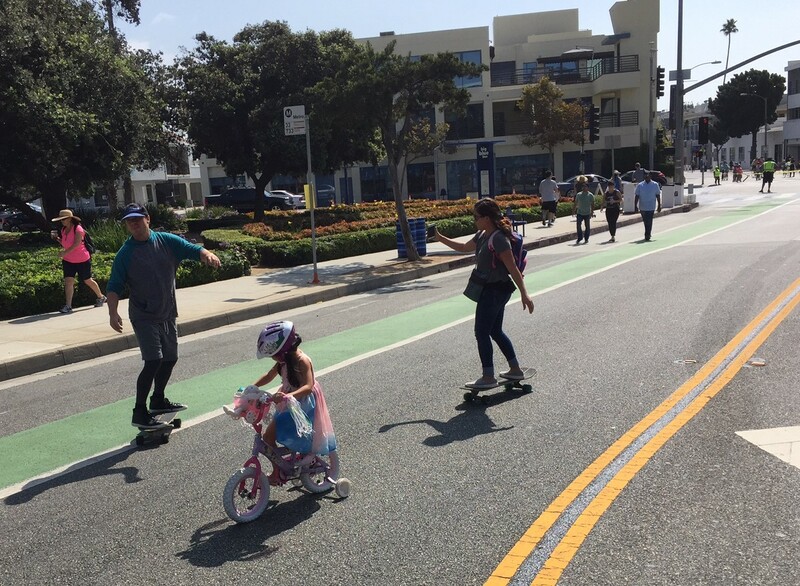 It drew thousands of attendees on foot, bike, and skates – including lots of families enjoying the car-free streets. There is little to critique about all the great stuff at Coast, though, with only two miles SBLA will quote Oliver Twist in asking “more please?” How about doing this more often than annually? 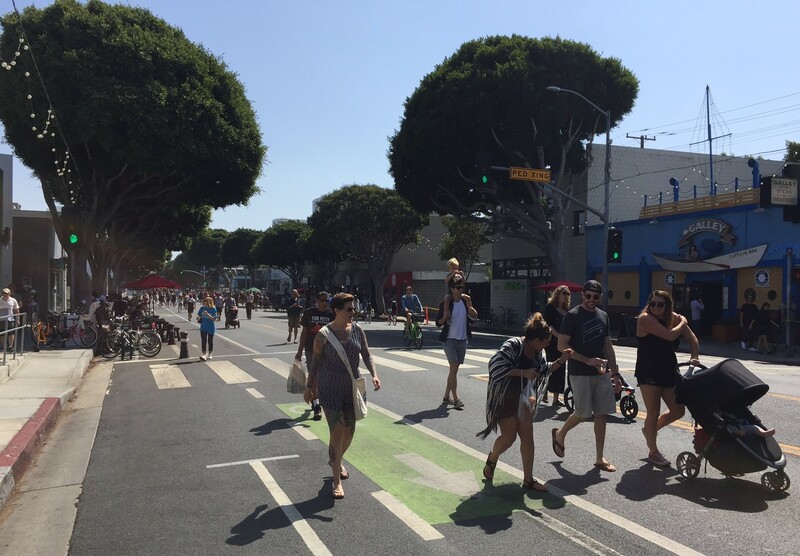 How about partnering with the city of L.A. to extend the event into Venice, perhaps including Abbot Kinney Boulevard? Readers – how was your experience at Coast yesterday?